Mercanta is assisting HSE Departments with expertise in identifying and furnishing highest quality Safety Equipment with a focus on Personal Protection Equipment, for the work force facing occupational hazards. "If you can´t run away, you must have the best possible protection !" We identify ourselves with its other characteristic attributes as well. The turtle stands for durability, persistence, steadiness and endurance combined with knowledge. We are supporting HSE Departments with our expertise in Safety Equipment, at every step of the product identification and supply chain. 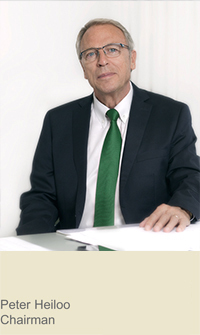 Delivering top quality, performance and service to our customers has been fundamental for the growth of Mercanta for now over 35 years. Based on the close cooperation with the industrial HSE Departments the essential products have been selected to provide the working personnel with the best safety and health protection equipment available. Mercanta’s market knowledge and customer service have been recognised by leading manufacturers such as Red Wing, Topps, Greenham and they have entrusted us with the distribution of their quality products in selected countries. All products listed in our catalogue have been carefully chosen to conform to the highest performance requirements of today’s industry. Product selection guides explain relevant legislation and standards. Wherever possible products have been listed which are certified to International Standards such as EN, ASTM, OSHA, etc. The PPE product range is complemented by safety, alarm and rescue installations. shall remain the core of our corporate policy. 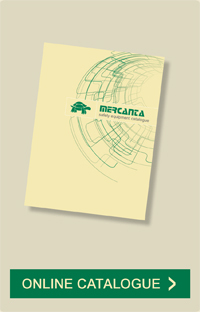 The new 2015 edition of the Mercanta Safety Equipment Catalogue is now online. The catalogue features the latest developments in the field of Safety Equipment with a focus on PPE. even more comfortable, interesting and informative.